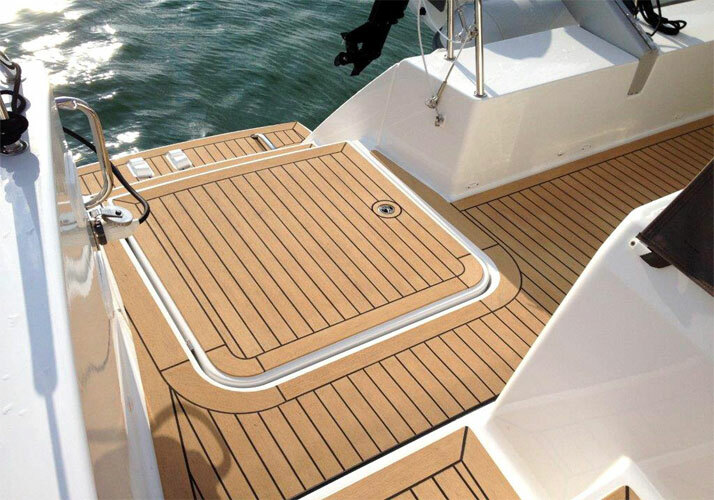 We can say that, to some extent, the composite teak deck is a refurbished version of the common boat deck. We all know that to keep our ships clean and complete, we need to maintain. With the emergence of the durable synthetic teak deck, we can assure you that you can spend more time enjoying the good times on board than the maintenance because our materials are almost maintenance-free. Our synthetic boat deck is fully UV resistant because it uses UV inhibitors and non-migratory plasticizers, which can be left outdoors for a long time without losing its good appearance. It will not fade, crack or become gray, it is almost free of maintenance. Because it contains the manufacturer’s warranty. Especially in the summer, when everyone is doing maintenance to their own boats. Skid resistance of the floor is a big problem when you have children. This is also one of the benefits of durable synthetic teak boat deck can provide you with not only durable material, but also non-slip. Take full care of your safety. Durable synthetic teak boat decks are trusted by customers, and their performance has far outpaced those of tropical teak, ants and mahogany marine environments. Can save resources, protect the environment at the same time to meet customer needs, if want to know more information pls contact us directly.